If you need to transport your car to another state or country, hiring a car shipping company is the simplest way to get the job done. It is, however, important to exercise some caution when it comes to choosing a car transport service provider. You need to ask a number of questions to make sure you are choosing a reliable company. In this blog post, we have listed a few such questions that would help you choose a reliable and competent car shipping company. Take a look. Another factor to check is whether your car shipping company is offering insurance and find out the level of cover your car would have. Car shipping companies generally offer two types of insurance: full-value and released value. You can opt for either of them, depending on how much you are willing to spend for your car’s safety. Once you have narrowed down to a few reputable auto shipping companies, ask them for quotations. Check what all services are included in the quote, and remember to ask whether there are any additional charges. Do not simply go with the lowest quote. Instead, choose what meets your expectations in terms of budget and services. What all licenses do you have? Most car shipping companies display their membership and licensing information on their website. 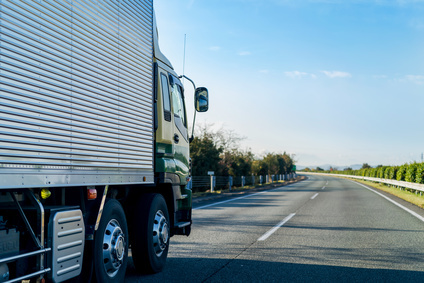 So, be on the lookout for terms such as Federal Maritime Commission (FMC), Federal Motor Carrier Safety Administration (FMCSA), Non-Vessel Operating Common Carrier (NVOCC), Department of Transportation (DOT), and Ocean Transport Intermediary (OTI). Can you provide customer referrals? Ask for some customer referrals to get a better idea of what you expect and whether you will go ahead and sign the contract. If you feel the mover is reluctant to share customer referrals, don’t waste your time and simply move on. When hiring a car shipping company, it is important to do a thorough research to assess your options. Remember to ask all the questions mentioned above and ask about relevant details. If you are looking for a car shipping company, EasyHaul is a name you can trust. Driven by a team of experienced professionals, we are ideally positioned to ship all types of private vehicles to any state or country. Whether you want to move your car within the US or to any other part of the world, simply call +1 (360) 597-9320 or fill out our contact form.